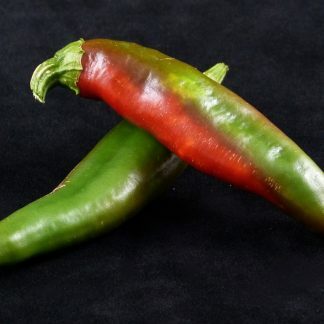 “Mosco” was bred in Pueblo County, Colorado, by Dr. Michael Bartolo, originating from a landrace of the Mira Sol chile pepper. Mr. Harry Mosco was the grower of the original landrace stock from which a single plant selection was made was and then carried forward. Mosco is 4-6” long and 1” wide at the shoulder. 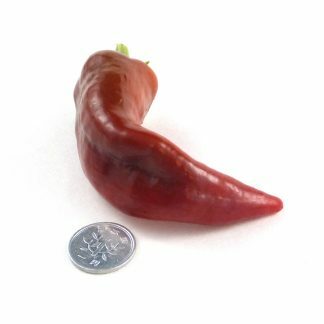 The yield, fruit size, and conformity are said to be superior to that of Mira Sol. “Mira Sol” roughly translates to “look at the sun,” and that upright growth of the fruit is shown in Mosco as well. 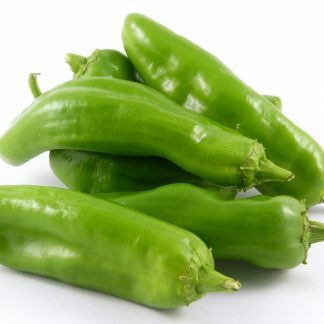 The fruits are difficult to detach from the plant, and I recommend cutting them off with scissors or clippers, as I do with all of my peppers, to avoid breaking the brittle larger branches.